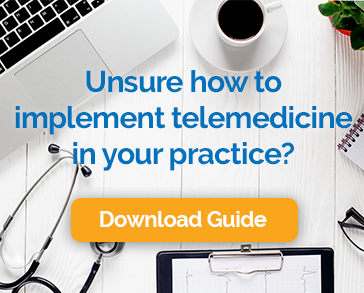 We get the chance to chat with providers and patients about the ways telemedicine can ease the burden on our overloaded health care system, make practices more efficient, and help patients get more convenient access to care. One thing we find is that many people think about the benefits of telehealth in terms of acute care. The first thing that jumps to mind is often 24 x 7 access to online doctors for diagnosis and treatment of conditions like seasonal viruses, skin irritations, and urinary tract infections. There is no doubt, telemedicine is often a fabulous alternative to in-person care for these kinds of conditions. But the treatment of acute cases like these is only the tip of the iceberg in terms of what telemedicine can mean to the healthcare system. The use of remote visits via high-definition video and audio can have a major impact on the healthcare landscape when used to address chronic conditions and support preventative medicine. The population of people with chronic conditions is growing rapidly. In fact, it is estimated that nearly half of the population of the US, 164 million people, will be affected by chronic illness by 2025. People with chronic conditions account for 81% of hospital admissions; 91% of all prescriptions filled; and 76% of all physician visits. This takes a personal toll on those who suffer conditions like Type II diabetes, congestive heart failure, inflammatory bowel disease, and depression. It will also tax an already loaded healthcare system and exacerbate worsening provider shortages. Telemedicine can help in a number of ways. It is common for patients with chronic condition to rely on one or more long-term medications. When a patient starts a new medicine, it can take time to dial in just the right dosage and frequency. It is crucial that patients and providers work together to address any side effects and ensure that the medication is effective and not counter indicated by any other medicines the patient might need. Video visits are an ideal way to eliminate the barriers to these discussions and allow for active medication management without placing an unnecessary burden on patients or providers. Med checks can be done as frequently as necessary without all of the overhead of an in-person visit. When a patient with a chronic condition develops a new symptom, it can be challenging to decide if it is simply a new manifestation of the underlining illness or a new, potentially urgent problem. Some people react to this problem by seeing the doctor a lot, while others put off a visit until the new symptoms become unbearable. Telemedicine offers the alternative of a quick video visit during which the new problems can be easily assessed. The patient can be reassured if there is nothing to worry about or diagnosed and treated if there is cause for concern. Sometimes the chronic condition is a mental health disorder like depression or anxiety, in other cases a different chronic condition can cause the patient to become depressed or anxious. In either case, telemedicine is an excellent approach to treating these types of disorders. A study by researchers at the Medical University of South Carolina and the Ralph H. Johnson VA Medical Center in Charleston found that video visits are an effective treatment for depression. They followed 241 depressed elderly veterans, some of whom received treatment via telemedicine, while others received in-person care. At the end of one year, there was no meaningful difference in symptom relief or satisfaction between the two groups. For patients with chronic conditions or those who are at risk for developing them, prevention can be essential to overall wellbeing. Often this requires significant changes to the patient’s lifestyle, including weight management, smoking cessation, or condition-specific dietary changes. The more support and monitoring patients receive, the more likely they are to be successful with compliance. It is not always practical to schedule these types of encounters in the office, but telemedicine makes it much easier and more cost effective for everyone. The United States Department of Health and Human Services recognizes the importance of close monitoring of chronic conditions. That’s why Medicare has introduced the Chronic Care Management Program, which reimburses providers $42.50 per month for 20 minutes of clinical care spent with patients who have two or more chronic illnesses. To receive reimbursement, the encounter must be fully documented, making telemedicine the ideal approach. The program has the potential to significantly boost revenue for practices and improve health outcomes for patients. Having a chronic condition is bad enough without all of the hassle and expense of frequent trips to the doctor. Telehealth offers a terrific alternative that gets patients the care they need without the inconvenience of in-person office visits. It also addresses some of the challenges that providers face when treating people with long-term health problems. Video visits will certainly continue to be popular for acute illnesses as well, but the biggest impact may very well be related to chronic condition management.